Depressed? Earphones in, volume up, ignore the world. 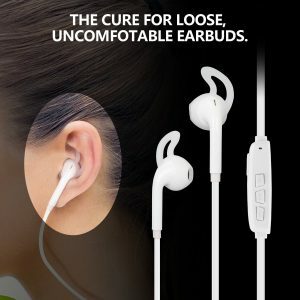 A lot of people consider using earbuds as an escape from reality and being in their little realm. Wireless earbuds are one of the most significant innovations that have been created. Untangling earphones is very frustrating especially when you’re in a hurry to use them. Whether you’re going to listen to music, watch a video, play games or answer a call, earphones are a great tool to escape from all the world’s noise. Contrary to what a lot of people think, wireless earbuds aren’t that expensive. A lot of them are reasonably priced while others can be costly, but they provide an excellent sound quality. 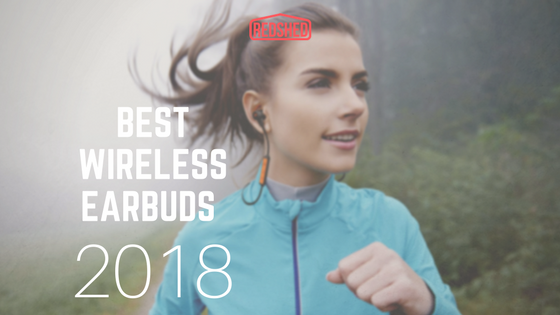 To help you choose the right wireless earbuds that will fit your needs, I looked for the best ones available on the market this 2018. 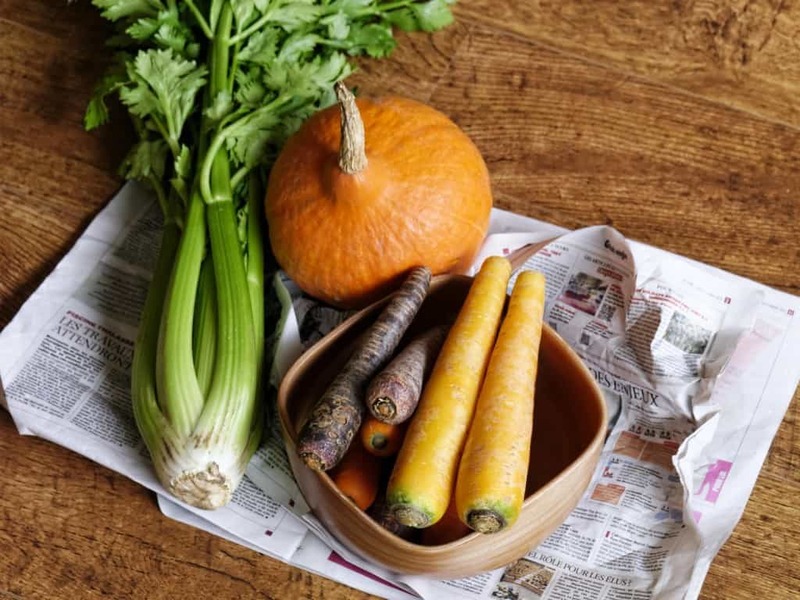 These are all tried and tested by a lot of purchasers, and they have equally received a lot of positive reviews from them. The GEJIN Wireless Bluetooth Earbuds resemble the design of Apple’s AirPods, so you might trick some people into having those who are far more expensive. 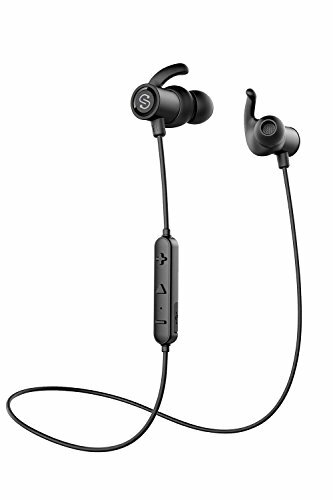 These are a great choice if you want to do any outdoor activity without any wires getting in the way. However, because of the built-in noise cancellation technology, your safety might be at risk especially if you’re near the road. But if you intend to use these wireless earbuds to eliminate noise, these should be good for you. With a standby time of 130 hours, music playing time of 2.5 hours and talking time of 2 hours, the battery life of the GEJIN Wireless Bluetooth Earbuds is pretty impressive. With its LED indicator, you’re going to be aware when it’s time to charge the product. It’ll only take 1-2 hours to charge these wireless earbuds so you’ll be able to use them again in no time. Also, it has a button that allows you to easily play, pause or switch the song, answer calls, hang up, and redial the number of the last caller. This wireless earbuds also have a built-in mic so you can freely talk to someone even while you’re doing some activities. SoundPEATS is a quite a new brand that offer audio products at an attainable price. 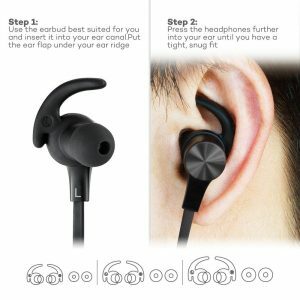 I’m personally impressed with the features of these SoundPEATS Q30 Bluetooth Earphones as they seem to be durable and functional at the same time. They’re sweat-resistant, so you don’t have to worry about using them if you sweat a lot during your workout. 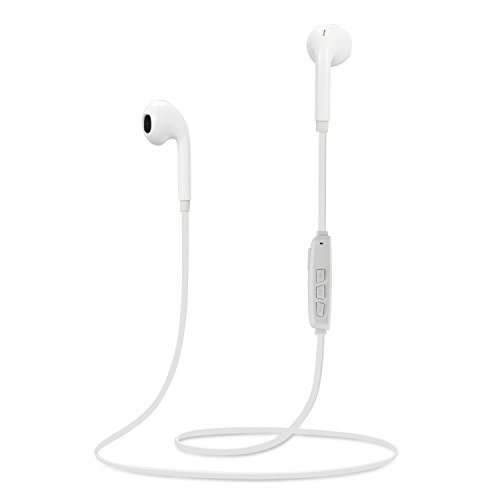 Aside from this, the inner nano coating built on these earbuds prevent any raindrop or water splash from entering the device. These wireless earbuds provide an excellent sound quality while creating a convenient experience because of its wireless capability. It has a 100-hour standby time capacity, and it can last up to 8 hours of talk time or music time. What’s interesting about the SoundPEATS Q30 Bluetooth Earphones is that they integrate with a magnetic design that allows you to wear it as a necklace when it’s not in use. The two earpieces stick together so you wouldn’t misplace them unless you forget you’re wearing it as a necklace! This product gives a great value for your money not only because the product itself is of great quality, but it also comes with a lot of accessories! 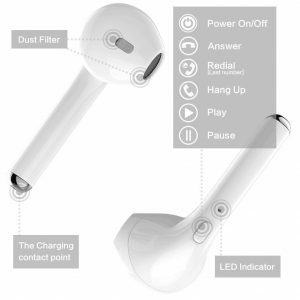 You can interchange the earbud tips from normal to XS to XL which makes sure they fit perfectly into your ears. 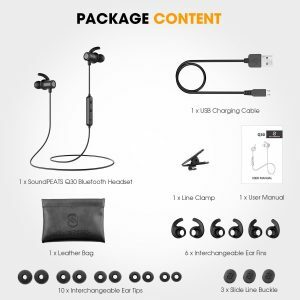 Plus, it comes with a leather bag that doesn’t only keep your the wireless earbuds secure but also adds style to the overall look of the item. The SoundPEATS Q30 Bluetooth Earphones is also available in colours red and khaki which both look very sleek. The Parasom A9 In-Ear Wireless Earbuds are affordable, yet they offer a lot of great features. The product only weighs 16g (0.56oz) which makes it comfortable to wear throughout the day. It also boasts its design that’s defined by the geometry of the ear so they can fit perfectly into your ears. 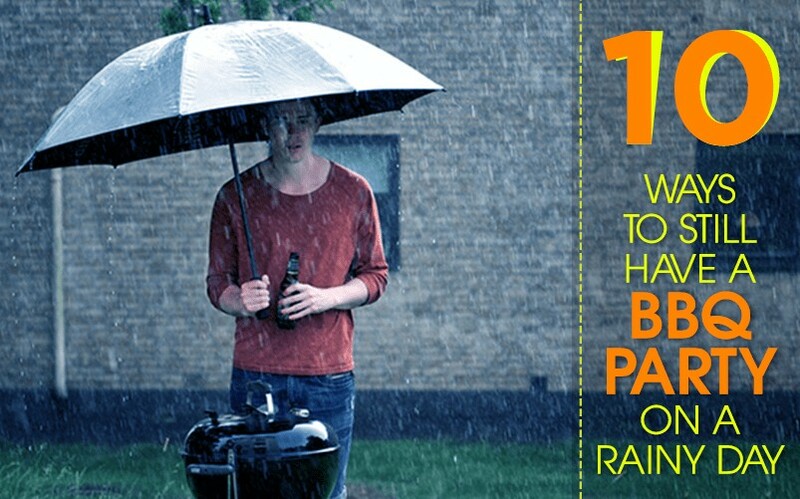 However, it’s not sweat-resistant, so you have to be careful when using it while working out. The Parasom A9 In-Ear Wireless Earbuds also provide stable connectivity so you can continuously enjoy listening to your music or talk to anyone without holding your phone. These wireless earbuds come with ear cushions that will ensure an even more comfortable wireless connectivity experience. With its in-line controls, you can have hands-free calls, and you can Play, pause or change the volume of your music. It also comes with a carrying case so you can easily store them when they’re not in use. If you want to try out using wireless earbuds without shelling out too much money, you should be eyeing on the Parasom A9 In-Ear Wireless Earbuds. The built-in magnets in the TaoTronics A9 In-Ear Wireless Earbuds attach the two earpieces when they’re not in use so you can use it as a necklace, just like the SoundPEATS Q30 Bluetooth Earphones. It allows you to carry them around even without the risk of losing them or falling from your pocket. With its CVC Noise Cancellation 6.0 technology, you get a high-quality and hands-free phone conversation even when you’re in a noisy place. The in-ear design integrated into these wireless earbuds keeps them smooth and secure even when doing outdoor activities like running, cycling or hiking. It quickly connects to any smartphone, tablet or Bluetooth music player and you can continuously enjoy using it for up to 6 hours. It also has a multi-button in-line control that allows you to play, pause or change the volume easily. 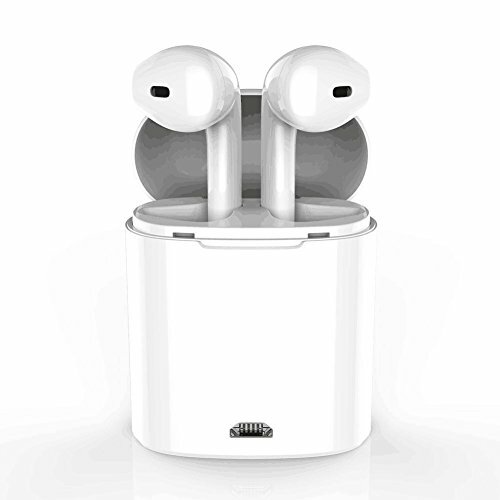 If you’re using an Apple device, these wireless earbuds have a mic that can clearly be heard by Siri if you need to answer calls or ask anything. The first and most important consideration when buying a pair of wireless earbuds is their comfort and fit on the ears. They may be convenient to use, but if you’re not comfortable wearing them, they could lead to frustration. Since they are intended to be used mostly for outdoor activities, you should make sure that they won’t fall off even when you’re in the middle of an extreme sport. There are a lot of wireless earbuds that provide ear tips of different sizes so you can choose one that best fits you. Reading reviews from purchasers are a great help if you want to be sure about the claims of a product. If they say that they’re not comfortable to wear, then you should look for a different one. Wireless earbuds typically have 2-10 hours of battery life. If you intend to buy one for extreme outdoor sports, you may need to choose one that has a longer battery life because you won’t be able to charge it immediately. While if you’re interested in getting one for the gym or hands-free phone calls while driving, a wireless earbud with a couple of hours of battery life should be enough. Nonetheless, no matter how much battery life you want your wireless earbuds to be, you should be responsible for taking care of it and charging it responsibly. If not, it can damage the battery and eventually make the item useless. The technology of wireless earbuds is also an essential thing to consider when buying one. If you want to get the value for your money, you should make sure that you get an excellent quality sound and it should easily connect to your device. The battery life and the connectivity of your wireless earbuds depend on the version of its Bluetooth. There different Bluetooth versions integrated with wireless earbuds, with Bluetooth 5.0 being the latest. However, only a few devices are compatible with this version so you can settle with versions 4.0 and above. Aside from Bluetooth, the aptX is also something to keep an eye on when buying wireless earbuds. This feature compresses audio files so larger files can be easily played by the wireless earbuds. Some devices aren’t capable of supporting aptX, but most laptops and cars usually do. The point of using wireless earbuds is to hear the sound without any disturbance. When buying one, you should check if it has an integrated active noise cancellation feature so it can completely block all other outside noise. It allows you to listen better to your music or to the person you’re talking to on the phone. After carefully reviewing each of these wireless earbuds, I think the one that gives the best value for your money is the SoundPEATS Q30 Bluetooth Earphones. It’s sweat-resistant, and it has built-in magnets so you can easily bring it anywhere. 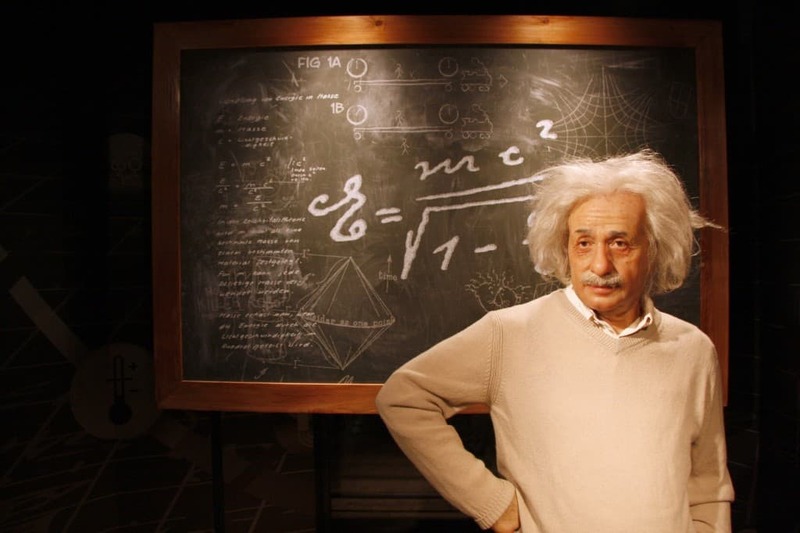 It also has impressive battery life as it can last up to 8 hours of continuous usage. Plus, it comes with a lot of customisable accessories, and it’s available in three elegant colours.